Ring News 24Boxing NewsGGG IS BACK and he’s Live on HBO from StubHub Center! GGG IS BACK and he’s Live on HBO from StubHub Center! Undefeated World Middleweight Champion and boxing superhero GENNADY “GGG” GOLOVKIN is saving Cinco De Mayo for boxing fans! Golovkin (37-0-1, 33 KOs), from Karaganda, Kazakhstan, boxing’s longest-reigning world champion, returns to the ring, Saturday, May 5, against two-time world title challenger VANES “THE NIGHTMARE ” MARTIROSYAN (36-3-1, 21 KOs), from Glendale, Calif. 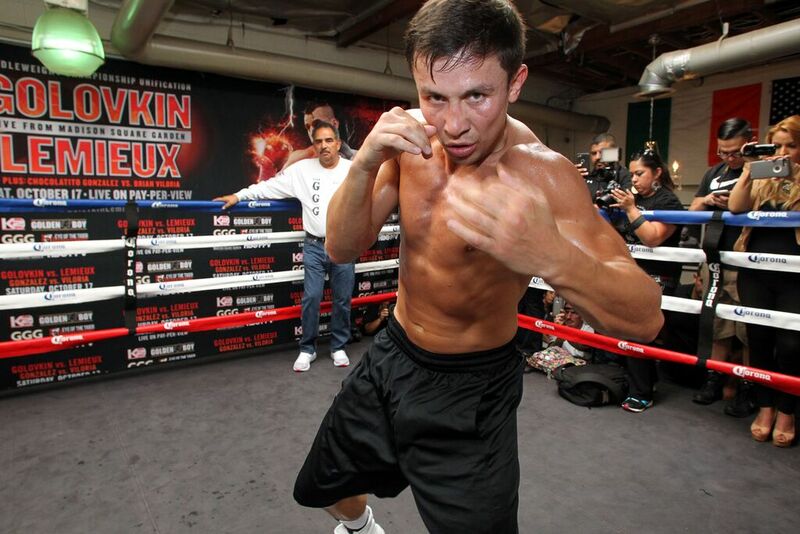 The fight will headline an exciting world championship card which will take place, under the stars, at StubHub Center, in Carson, Calif. It’s the first time Golovkin has fought in Southern California in over two years. Golovkin has proved himself to be a sterling gate attraction in his previous three fights in the Southland, selling out The Fabulous Forum twice, in 2016 and 2015, and setting the all time attendance record for boxing at StubHub Center in 2014. Golovkin vs. Martirosyan will be televised live on HBO World Championship Boxing beginning at 11 p.m. ET/PT. Not only will this mark Golovkin’s first non-pay-per-view fight since 2016, if successful, it will also be his 20th consecutive and record-tying middleweight title defense. Golovkin and Martirosyan boast a combined record of 73-3-2 (54 KOs) — a winning percentage of 94% with close to 3/4 of those victories coming by way of knockout. Promoted by GGG promotions, in association with Don King Productions, and sponsored by Tecate, Chivas Regal, Jordan and Hublot, tickets to the Golovkin vs. Martirosyan world championship event go on sale Today! Wednesday, April 18, at 1 p.m. ET / 10 a.m. PT. Priced at $750, $500, $300, $200, $100 and $50, tickets may be purchased online at AXS.com, by phone at (888) 9AXS-TIX, or by visiting the StubHub Center box office. Golovkin, the 36-year-old wrecking ball who has reigned over the middleweight division as world champion since 2010, was a dominant amateur standout and Olympic Silver Medalist before turning professional in 2006. Since then, Golovkin has been on an historic trajectory, knocking out one opponent after another to unify the WBC, WBA, IBF and IBO World Middleweight Titles. During this run, Golovkin maintained an unblemished record that included a 23-fight knockout streak, which ended with a unanimous decision victory against then-undefeated world champion Danny Jacobs in March 2017. In September of the same year, Golovkin went the distance in a historic and controversial split draw against Alvarez, which most scored as a victory for Golovkin. The hotly-anticipated rematch, which had been scheduled for Cinco De Mayo, was canceled when Alvarez withdrew from the fight. Golovkin has sold out the most iconic arenas of the world, including T-Mobile Arena, Madison Square Garden, O2 Arena, The Fabulous Forum and StubHub Center. Martirosyan, 31, is a two-time world title challenger and a former amateur standout who represented the U.S. in the 2004 U.S. Olympics, the same Summer Games where Golovkin won the silver medal. A native of Abovyan, Armenia, who fights out of Glendale, Calif., Martirosyan’s resume boasts NABF, NABO, WBO Inter-Continental, WBA International and WBC Silver championship victories against the likes of former world champions Ishe Smith and Kassim Ouma, as well as a draw against Erislandy Lara. Martirosyan’s only professional blemishes have been decision losses in world title fights against Demetrius Andrade, where Martirosyan scored a knockdown, and a rematch with Lara, as well as a controversial 10-round loss to WBC super welterweight champion Jermell Charlo. Standing at six-feet tall, Martirosyan will enter the ring as the taller and the younger gladiator. He is currently the WBC’s No. 1 world-rated super welterweight contender.